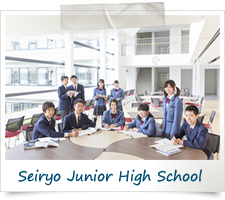 Seiryo Junior-Senior High School is a comprehensive six-year co-ed institution. Our junior high school students are 12 to 15 years old and our high school students are 16 to 18 years old. The majority of our students go on to four-year degree programs upon graduation. Along with academic studies, our students actively participate in sports, after-school clubs, festivals and many other academic and cultural pursuits. We have a robust and active international program that features relationships with sister schools throughout the world. We aim to develop a set of core values among our students that will help them become more understanding of different values and cultures. We hope this leads to their increased contributions to the creativity and strength of a new era. 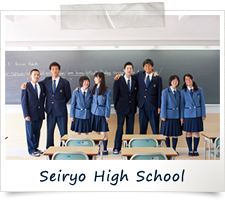 Copyright (c) Seiryo Junior-Senior High School. All rights reserved.